The oesophagus (a Greek word meaning ‘the way of food’) is an important part of the digestive system, taking food and drink to the stomach. A problem with the oesophagus therefore needs treatment – maybe medicines, stretching it a little, placing a tube inside it, operating on it or even taking it out. You have a food tube (the oesophagus) and an air tube (trachea) travelling down through the chest. The trachea goes to the lungs and fills them with air. 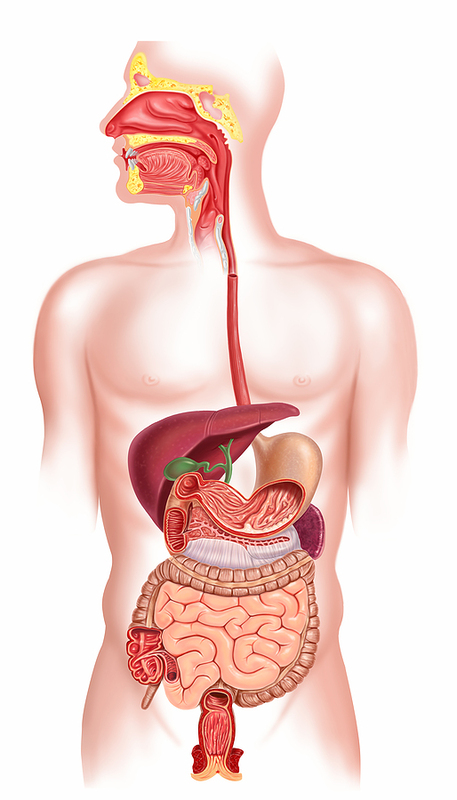 The oesophagus is a muscular tube which propels food downhill to the stomach where the digestive process starts. You don’t just swallow by gravity; some of it goes down by gravity, but it also goes down because you have muscle round the outside that squeezes it down – this downward motility action is called peristalsis. The diaphragm separates the chest from the belly. Your oesophagus goes through the diaphragm and you’ve got about 2 or 3cm of oesophagus in your belly at the top of your stomach. The first thing to be reassured about is that the oesophagus usually works very well indeed. Occasionally, however, problems occur and the following are some of the things you may hear about or experience and includes sources where you can find good quality information about the specific conditions. If the hole in the diaphragm is a little too large and the top of your stomach pokes through into the chest you have a hiatal hernia. The hiatus is the hole in your diaphragm and when it becomes too wide your stomach (or more usually just the top part of your stomach) comes up and through that hole. Often, patients with a hiatus hernia have acid reflux from the stomach because the sphincter valve at the bottom of the oesophagus is weaker than it should be. The sphincter muscle normally stays closed unless youre swallowing food but if that muscle opens more than it should, contents from the stomach and the intestines can come back into your oesophagus. We call this acid and bile reflux. Chronic (long term) reflux of stomach and intestinal juices irritates the oesophageal lining and can cause ulceration (oesophagitis). In some people, chronic Acid Reflux/Oesophagitis can cause a change of the lining in the oesophagus, which is known as Barrett's Oesophagus. We believe that about 400,000 people in the UK may be suffering from Barrett's Oesophagus, many of whom are undiagnosed (search Barrett's Oesophagus Campaign). Cancer development is believed to be triggered by more factors than simple reflux. The rate of progression from Barrett's Oesophagus to oesophageal adenocarcinoma (70% of the 8,000 cases of oesophageal cancer in the UK each year) is 0.5% per patient year. Therefore a person who develops Barrett's Oesophagus at the age of 30 has a 20% chance of developing cancer in the next 40 years, i.e. by the time they are 70.